There are a few of us sharing an amazing house on one of the canals, it has a gazillion bedrooms and bathrooms (always handy with a group of girls) a pool and is totally lux...Loving the life! Once again, I've gone with the cute "Mini Treat Bag" die. 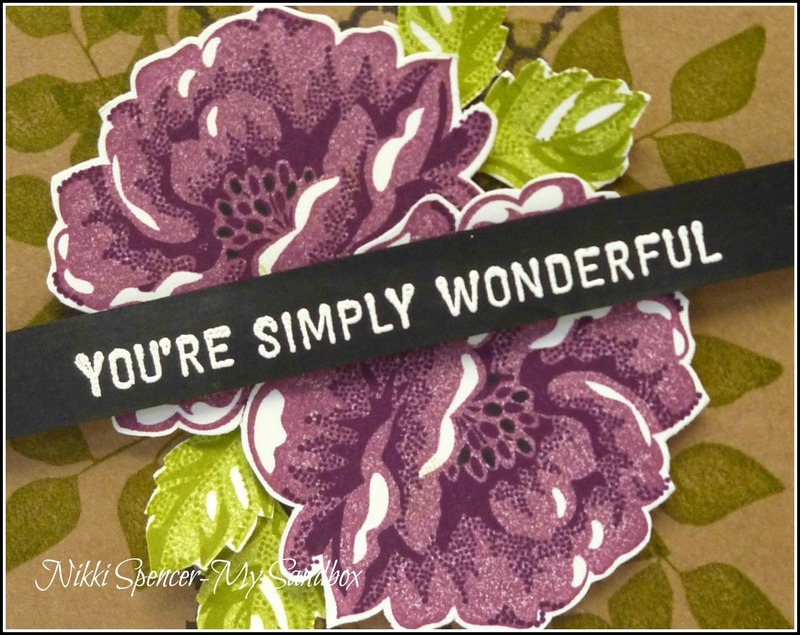 I used simple copy paper, stamped with the dictionary background stamp (retiring soon) and even though it's no longer available, l used the sweet sentiment from the "Simply Wonderful" SAB set, l just love this sentiment and don't really own anything else like it, that was appropriate. My suitcase smelt pretty amazing..
As l had this set out for this weeks Just Add Ink challenge, l decided to play a bit more, l had forgotten just how lovely this set is. It may be a little quiet here for the next few days, but do pop in, as l will be sharing a few Convention bit's and hopefully if l'm not to busy having fun, some pics of the team doing just that! 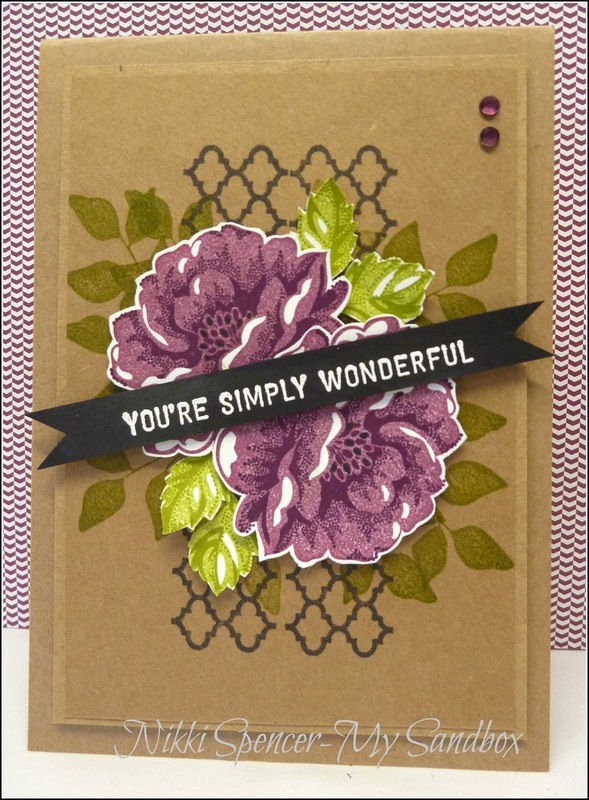 I stamped the roses with Blackberry Bliss, stamping off for the first image and full strength for the detail. Don't forget to pop over and see the rest of the design team samples and hopefully you can join us and play along......You do get 2 weeks to create for this one! 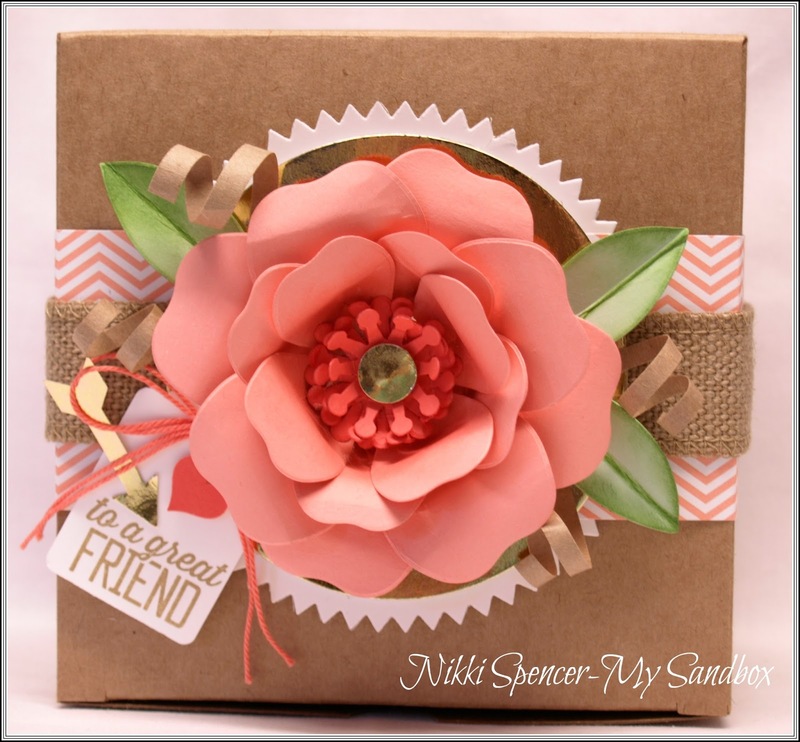 I just realised l hadn't yet shared these sweet Butterfly Basics packaging ideas from some recent workshops with you yet...So here they are!. I kept to a very subtle colour palette of Lost Lagoon and a hint of Silver Glimmer on Naturals White Cardstock and was inspired by Erica Cerwins use of the Butterfly with the Curvy Keepsake Box and the Mini Treat bag was just a continuation of the theme..:0) They were both very calming projects to make, l think it's the colours. 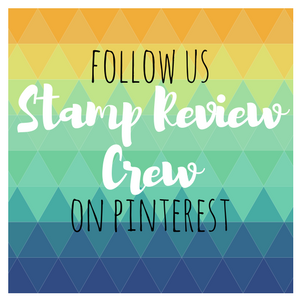 I'm so looking forward to heading north for Stampin Ups South Pacific Convention. 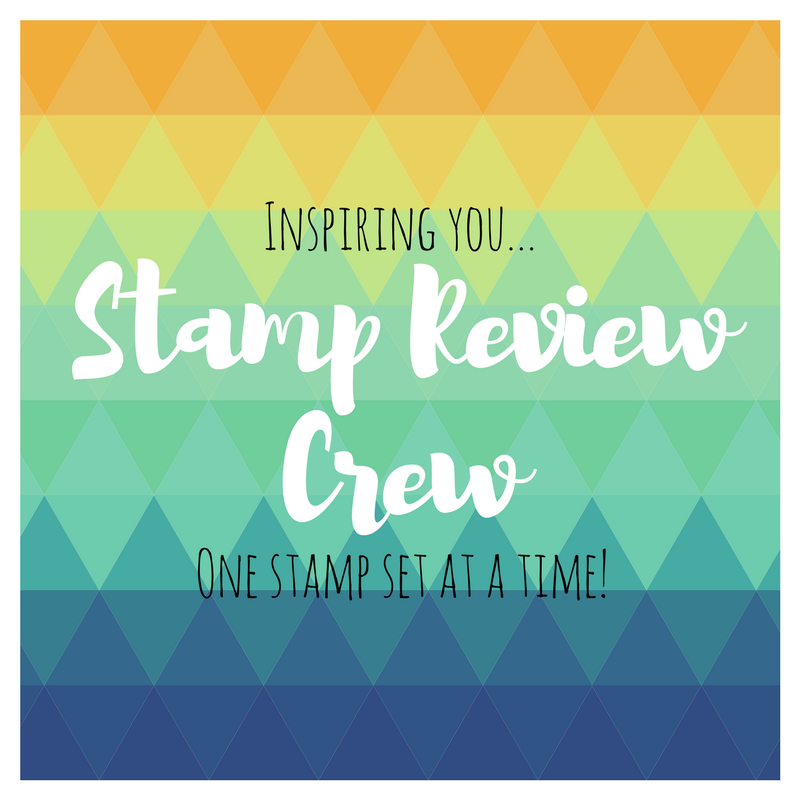 It means l get to spend a few days with some of my fave people and get a sneak peek at all of the new goodies Stampin Up will have on offer in the new catalogue...Yay! To brighten up the day, l thought l would share a cheery card using the "Bokeh" technique. I used Strawberry Slush, Tangelo Twist and Pumpkin Pie. 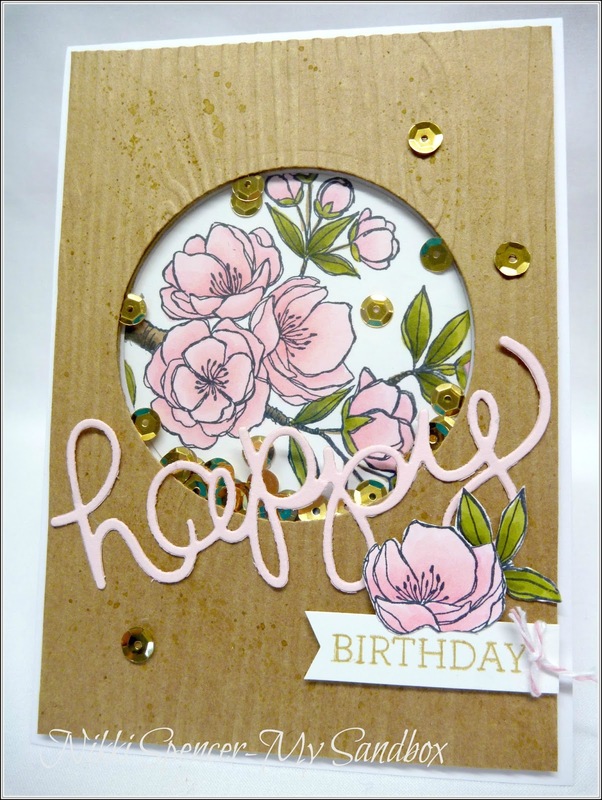 To create the bubble effect, l added Whisper White craft ink and a few in Champagne Shimmer over the top. 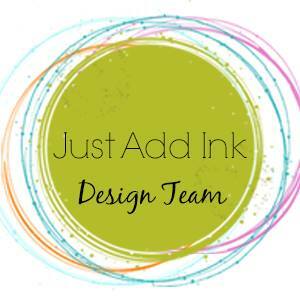 Welcome to another fun Just Add Ink challenge and this week Patrice has given us a "Just Add Sequins" theme....Simple and fun! I used my blendies for colouring and added some speckles to the Kraft panel with some Baked Brown Sugar ink and my Aqua pen. The sequins l used are leftovers from my daughters dancing days, as l wanted slightly larger ones than the SU trim. Heaps more inspiration from the design team on the challenge blog, don't forget to stop by and check them out! I went with some more masculine tones, using Night of Navy, Old Olive & Soft Suede to create the background and some Whisper White Craft ink refill to sponge the bubbles. It was fun! 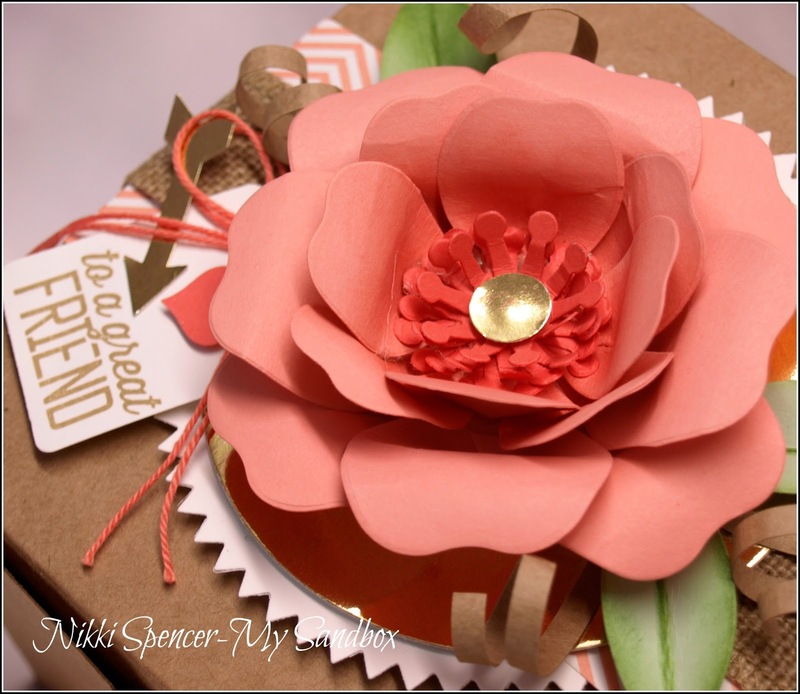 So much so, l made a lovely coral/pink version for my nieces birthday, which l'll be sharing shortly. Happy Sunday everyone!...I have another one for the guy's to share today. 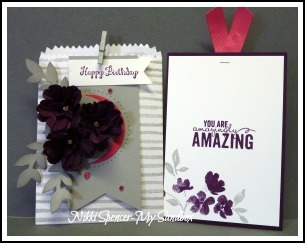 I used the Balloon Basics Bundle and the Crazy for you thinlits for this one. 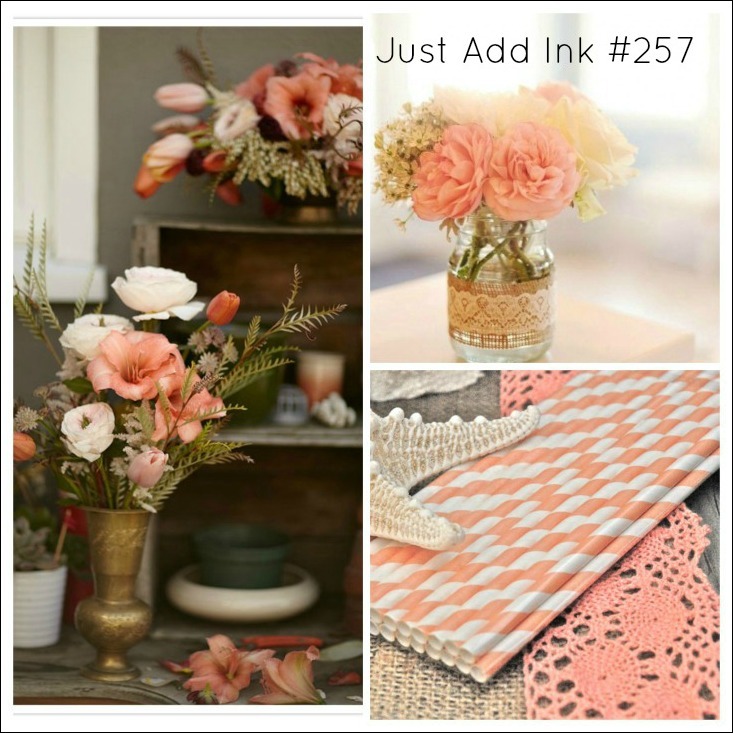 It's Friday!....That means time for a new Just Add Ink challenge and this week Rochelle has given us a stunning colour palette to work with. Don't forget to check out the rest of the design team creations...You won't be disappointed! Can you tell l was hooked on making these..:0) They were so quick and easy and look so good in any style. I think they would make lovely party favours or be perfect for small gift items. I think l might try a kid's & guy version next and the beauty is, you can leave them flat packed, ready for filling and gifting when needed. 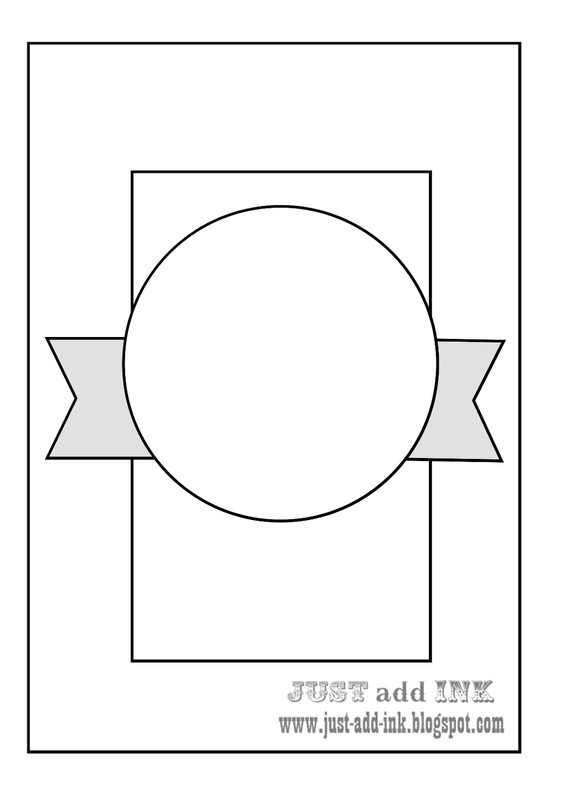 Happy Easter to you all!....I thought l would pop in and share a couple of cute packing options l made. 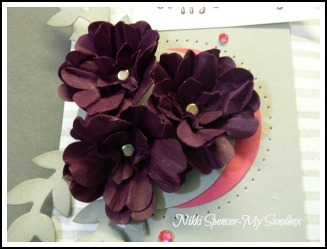 I really wanted to use the painted Petals set and create something fresh and fun for the fam. 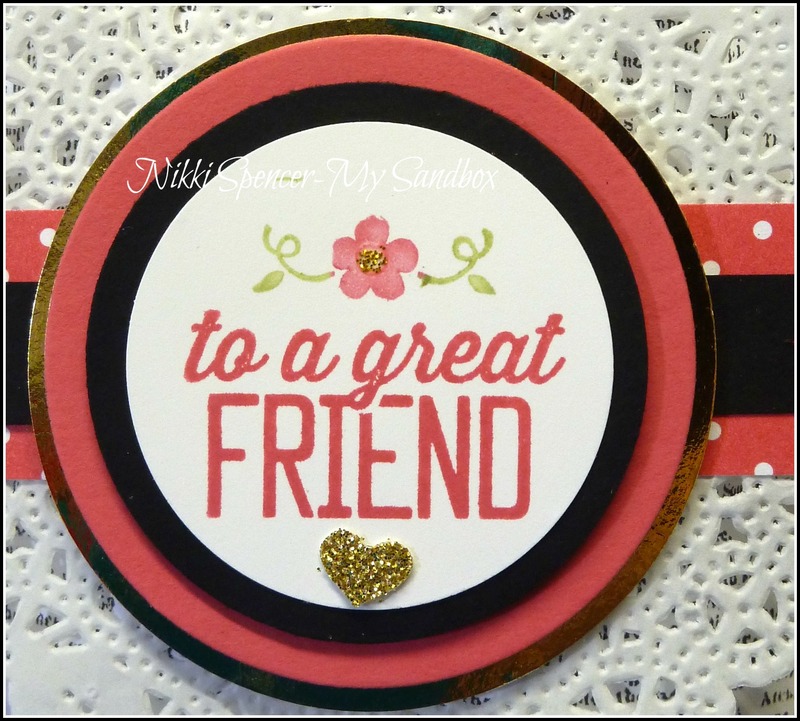 "Thanks for stopping by & Happy Easter"
Be still my beating heart!...Will you check out this gorgeous inspiration from Narelle for this weeks Just Add Ink challenge! 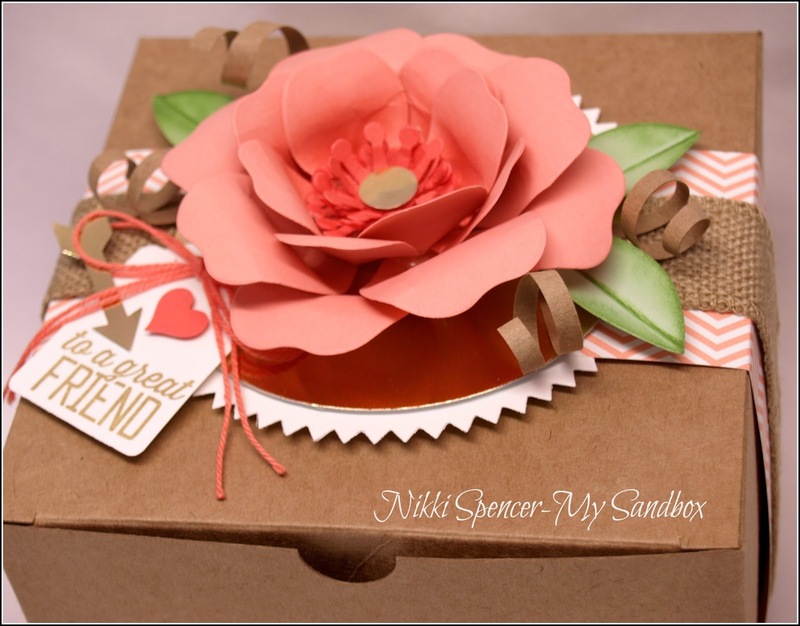 I am totally in love with the beautiful colours and elements and l do love me some packaging...:0) So l used one of the large Kraft gift boxes from Stampin Up and made another huge bloom using the "Beautiful Bouquet" flower die, layered it up on a Whisper White Starburst diecut and some gold foil. 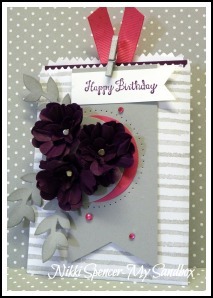 The design team have created some gorgeous projects, don't forget to stop by the challenge blog and check them out!